Départements: Haut-Saone (70), Doubs (25), Territoire de Belfort (90), Jura (39), Ain (01), Ardeche (07), Drome (26), Isère (38), Loire (42), Rhône (69), Savoie (73) and Haute-Savoie (74). 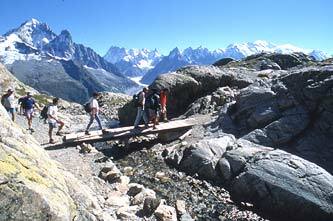 The region of Rhône-Alpes is one of France’s largest. Like neighbouring Burgundy, it has an important oenological heritage – Côtes-du-Rhône and Beaujolais are names that trip off most tongues – and this goes hand in hand with its renowned restaurants and chefs, among them Paul Bocuse. To the east, the landscape is stunning, featuring the spectacular snowy peaks of the French Alps (including Mont Blanc, Europe’s highest peak) and the largest skiing area in the world. Out of season, the great outdoors welcomes summer sports fans who come for the mountain climbing and biking, riding and sailing; metropolitan types in search of urban vibes may enjoy visiting the upbeat cities of Lyon (the regional capital), Chambéry and Saint-Etienne. Average temperatures range from 5°C (41°F) in December to 27°C (80 °F) in August, making this a good spot for year-round holidays. If you’re thinking of buying here, it all comes down to location – and money. Property in the world-famous ski stations such as Courchevel and Megève commands a serious premium (although demand for rental properties in these highly sought-after resorts should mean that you’ll be able to offset the cost of your purchase against the income to be made from holiday lets). 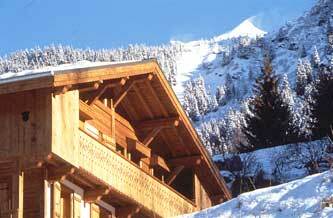 For those with deep pockets, a four-bedroom chalet with mountain views and good links to the Trois Vallées area sells for around 600,000 €. A more reasonably-priced alternative might be a small studio or apartment in a resort that doesn’t have direct access to the pistes, where you’ll find modern complexes and traditional-style wooden constructions from around 75 – 80,000 €. A more genuinely French way of life can be found further down the mountains in the lower villages, where farmhouses and chalets can be bought for less money and the surroundings make for good leisure potential year-round. Moving away from the ski slopes, there are plenty of other property types to appeal to all tastes and pockets; everything from a luxury loft in Lyon to a rural restoration project in the Ardeche, a contemporary villa with all mod cons to a magnificent maison de maître with land – it’s a matter of taste, and the choice is yours. The region of Franche-Comté is relatively undiscovered, and features many forests, rivers, lakes, gorges and vineyards. Located on the eastern France border with Switzerland, between the Vosges Mountains to the north and the Jura mountains to the south, there is a marked Swiss influence to this region’s culture and cuisine (best known are its Comté and Morbier cheeses, the Jura wines and Morteau and Montbeliard sausages). An absence of Brits makes this region notable, as do its reasonable property prices. Travel options to Rhone-Alpes and Franche-Comte are varied, depending on your destination. In terms of direct flights, Air France offers London-Heathrow direct to Lyon (www.airfrance.co.uk), Ryanair flies from Glasgow or London-Stansted to Brussels’ Charleroi Airport (www.ryanair.com), British Airways (www.ba.com) runs services from London to Lyon and Geneva, or Easyjet offers flights from Luton to Geneva. Alternatively there are TGV trains from Paris-Gare de Lyon to Besançon, Lyon and Grenoble (www.sncf.fr), and during the ski season there is a direct Eurostar service (www.eurostar.co.uk) from London-Waterloo or Ashford through to Bourg-Saint-Maurice, which is convenient for the ski resorts of Val d’Isère, Couchevel and Les Arcs. Cities and towns: Vesoul, Besançon, Belfort, Lons-le-Saunier, Bourg-en-Bresse, Privas, Valence, Grenoble, Saint Etienne, Lyon, Chambéry, Annecy. Read the best of FrenchEntrée each month by registering for our French Property Tips newsletter. Want to comment on this article? We value all helpful feedback. If you simply want to let us know about something related to this article please email . If you have something you would like to contribute please follow the instructions on our Contributors Page and don’t forget to mention which article you are referring to at the top of your text. Thank you.